Looking to add a little spooky flavor to your haunted celebration that is sure to keep all your little ghouls, ghosts and goblins in a festive mood? Look no further for the perfect ideas to dress up those Halloween treats. 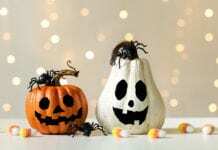 Set a festive mood: Creepy Halloween decor, such as spider webs and Jack-O-Lanterns, can be placed around the house and yard to help get guests into the holiday spirit. Halloween-themed music, such as "Monster Mash" and movies, such as "Dracula" and "Frankenstein," can help offset any down time, as can sharing scary stories. Play some ghoulish games: Bobbing for apples is a Halloweentradition you can't leave out. Halloween bingo or a pin the tail on the donkey-type game, such as pin the nose on the skull, can also add to the fun. Or try a treasure hunt for a ghost ship's loot by scattering clues around the house that lead to ghastly goodies. Vampires, ghosts and zombies, oh my: Add a costume contest to the mix and hand out prizes to some of the best. Try breaking the contest into a few categories or by age, and awarding prizes, such as most creative, judge's choice and crowd favorite. 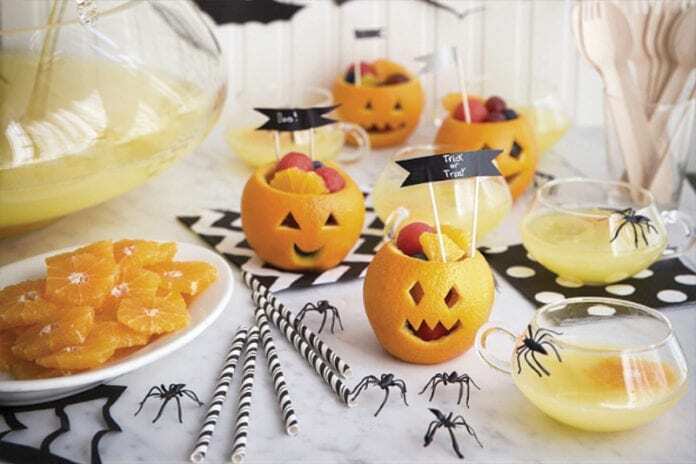 Use fresh navel oranges, mandarins and lemons to cast a spell on your frightful Halloween party goblins with Bubbling Witches Brew and Spook-tacular Fruit Cups. Looking for more festive ideas? Add orange pumpkin treats to the menu. Just peel a mandarin and insert a small piece of celery in the center for the stem. Cut off top 1/5 of an orange and use paring knife to separate fruit from inside of orange, being careful not to cut through peel. It's not necessary to get all of the flesh out, just enough to fill with cut fruit.